From the day that your children are born, you will learn that certain health decisions require some important considerations. You’ll be given an inoculation schedule that is standard, but you have the right to delay some vaccinations. Although there is no scientific research that supports that vaccines lead to the development of autism, there have been many recalls that have left children severely impacted. 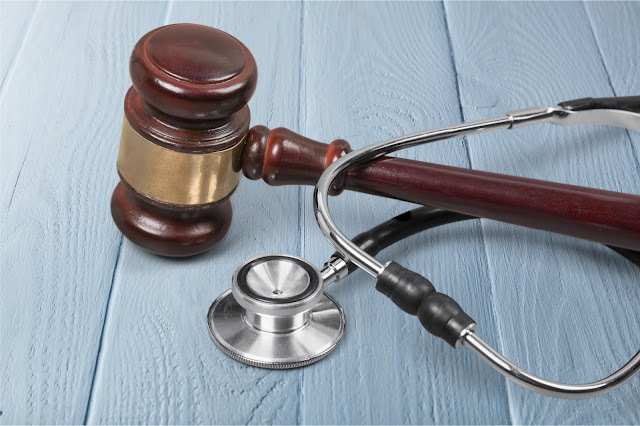 If you are a healthcare law professional, the potential legal effects of diverting from expert medical advice can be serious. Going against the advice given by a doctor is not something that the average person does lightly. When you have a background in health and the law, your expertise can be a benefit and a point of contention. There are many childhood disorders that doctors urge parents to consent to treatment for as early as possible. These elective medical procedures may improve your children’s quality of life, but they may also be risky. For example, in the case of Jai McMath, an elective medical procedure for the treatment of sleep apnea left a healthy 13-year- old girl medically brain dead. Though doctors believe that it was actually the actions of McMath’s parents that led to a negative outcome and not the procedure itself, it was known that sleep apnea medical interventions can leave patients injured. Children know that their parents make all final medical decisions, but their input is usually considered as they grow. People with a masters in health policy might review state law statutes on legal liability for doctors when patients are under 18, before giving consent for any type of major medical procedure first. Also, knowing that older children might have a better chance for recovery can cause parents with a health law background to find a way to delay surgery. If there is no present threat to the life of your child, putting off various types of medical procedures can also give you additional time to research individual cases and outcomes. In cases where a medical error has been committed, parents need to know how their kids may end up. If the situation involves a small error with no long-term effects then at least an apology and explanation should help to abate everyone’s worries. Short of that, immediate legal and medical action may be taken. Another doctor can help to find a more beneficial treatment and legal experts can make efforts to stop other children from being injured. Doctors are required to answer the questions of patients as well as their legal representatives in the case of children. You can make a complaint to the local medical board if your child’s doctors will not give you complete answers after an obvious error has been made. Being an expert on health and the law, you will notice things that other parents will miss. You may spend more time looking at a pediatric doctor’s credentials and discipline records. You may also raise questions when your child spends more time being seen by nurse practitioners rather than primary care providers. Keep your knowledge in your back pocket and be a parent first, unless something questionable happens.